First, you should appreciate the cardiac conduction pathway, and review the sequences of normal atrial and ventricular activation. Knowing this : Understand how p wave is formed and its variations. Atrial flutter has no isolectric line that is representation of atrial depolarization. Where as AT does not isoelectric lines. 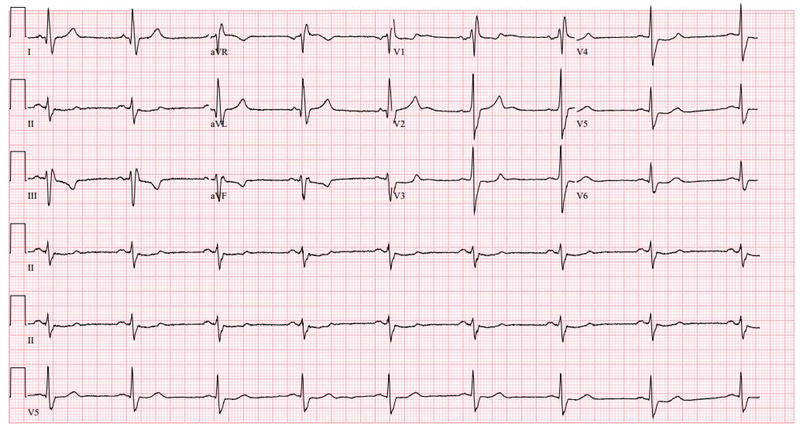 Isoelectric lines are absent or decreased if there is ventricular pre excitation. 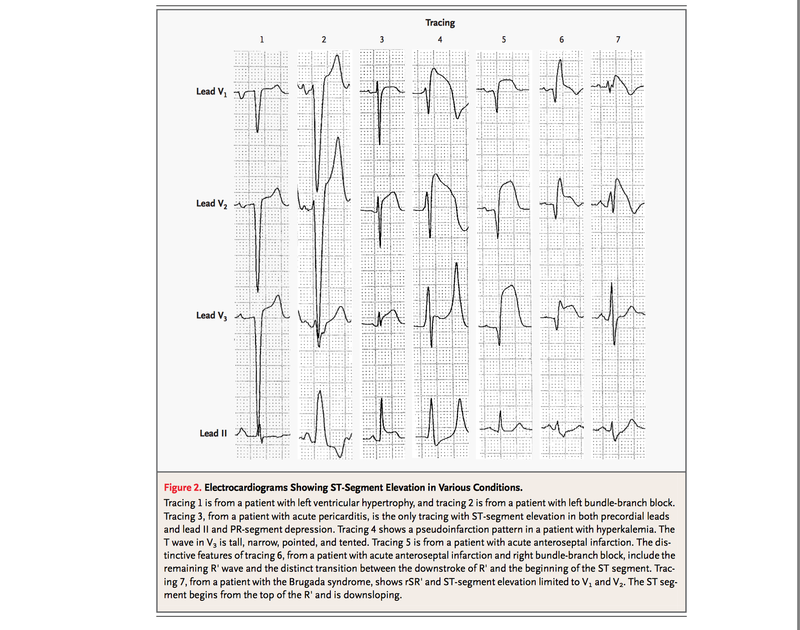 Now : Understand how does narrow complex and wide complex QRS are formed. Anteroseptal Infarct: If leads placed in 2nd intercostal space instead of the 4th. The QRS vector usually is oriented in the direction of the myocardial region where depolarization is delayed (Fig. 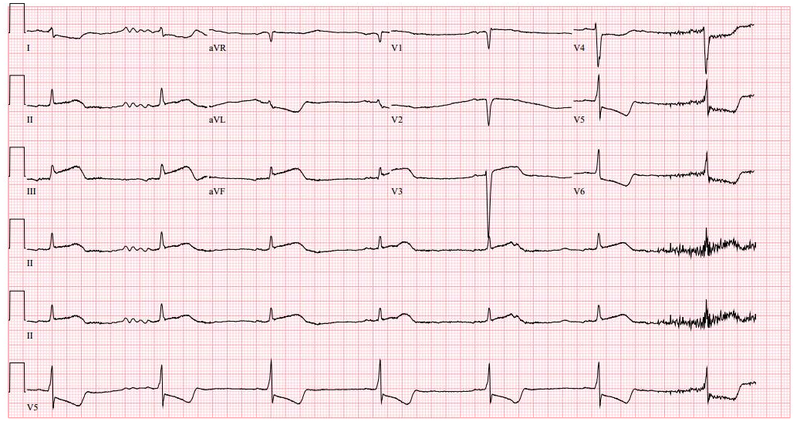 268-10).Thus, with right bundle branch block, the terminal QRS vector is oriented to the right and anteriorly (rSR′ in V1 and qRS in V6, typically). 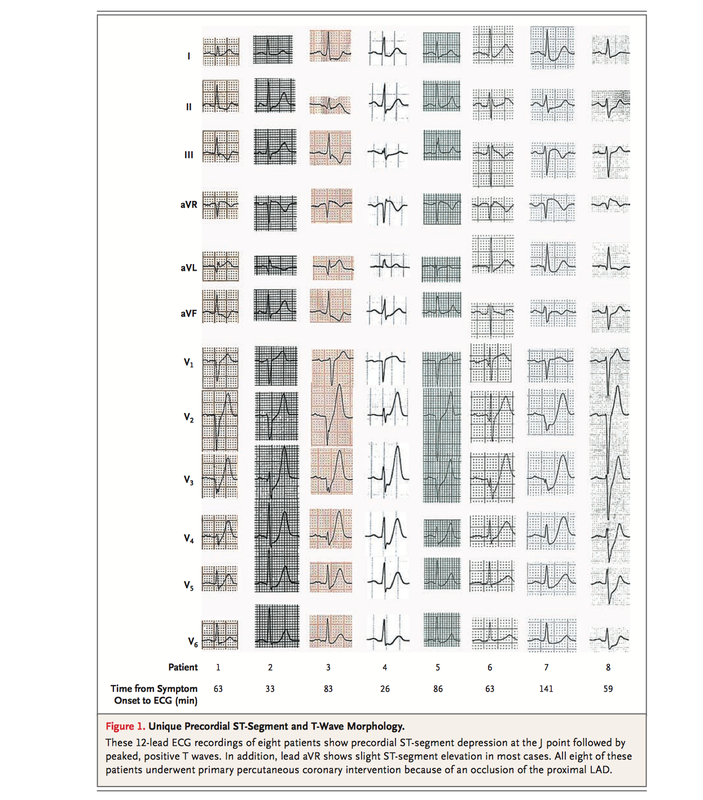 Left bundle branch block alters both early and later phases of ventricular depolarization. The major QRS vector is directed to the left and posteriorly. V4, V5, V6, II, III, avF ST depression. 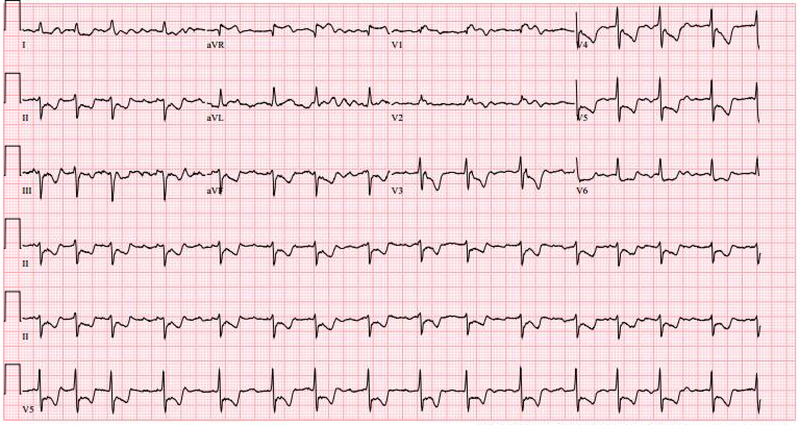 45 yo M patient presenting with chest pain, and is found to have the following EKG. Where is the lesion located at? Ans: On Cath, patient is found to have RCA lesion causing RV infarct. Since, It is RV infarct, part of the anterior wall is also involved. Hence, anterior leads V1, V2, V3 may also have STElevation, without the involvement of the LAD. All of the below are the examples of early repolarization. For details use the link to access the paper and description. 54 y/o M with Anginal Chest Pain. EKG on presentation is here. 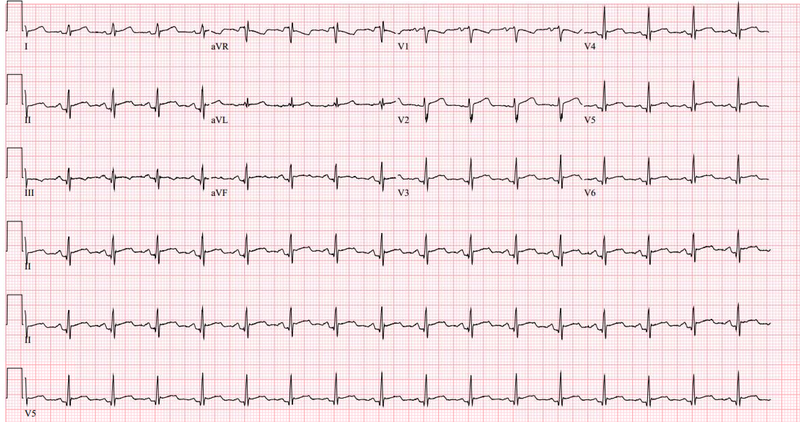 Few hours later, patient continues to have chest pain. 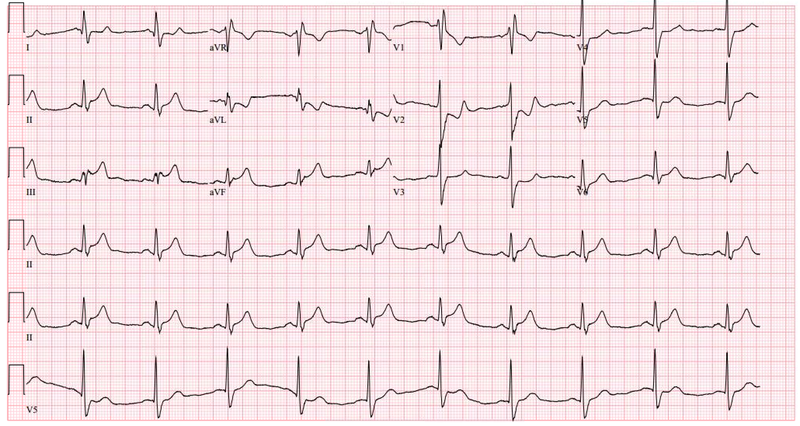 Repeat EKG is as below. Cath shows Mid RCA 99 % stenosis. If lateral leads are involved, but has ST segment depression in V1,V2, V3 then it is high likely to be posterior intact. In anterolateral infarct, you expect to have STE in all anterior leads. Following images have been obtained from link provided below the images. P wave axis and P vector and PR duration: Helps differentiate ST from Atrial Tachycardia. I, II, III, aVF : to look for P wave axis. 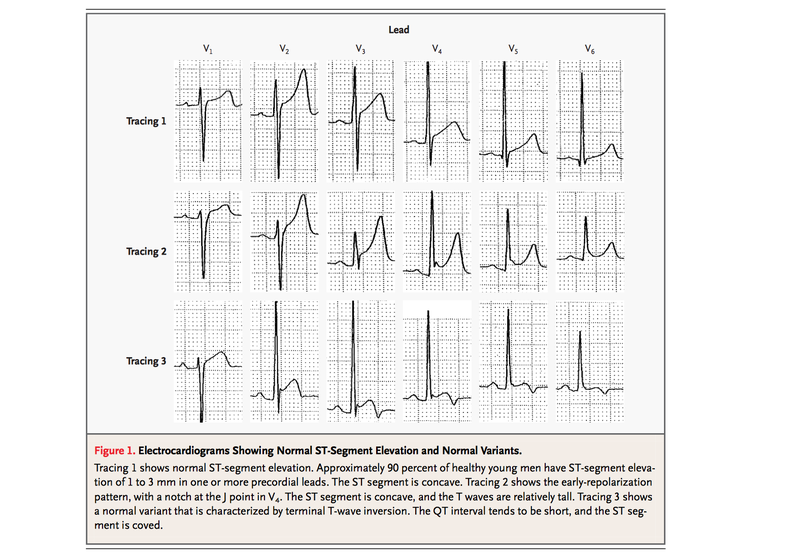 If abnormal suggest of atrial rhythm, and not ST.
V1, V2, V3, V4 ST depression.